It will be a very long weekend – from May 1 to 4. The main celebrations of the May Day will be held in Moscow parks – they open the new season on May 1. If you don’t feel like going to a park, you can visit a large-scale city festival, see sand sculptures, go to a museum or buy some comics. So, here is our list of the most remarkable events in Moscow on these holidays. May 1 is the opening day of the summer season in all Moscow parks. Each of them have prepared many interesting and unusual actions for the guests! Performances of popular bands and street theaters, useful master classes, fair of toys and chocolate, foot, bicycle and roller walks, as well as exhibitions and festivals await you in all the parks of the capital. 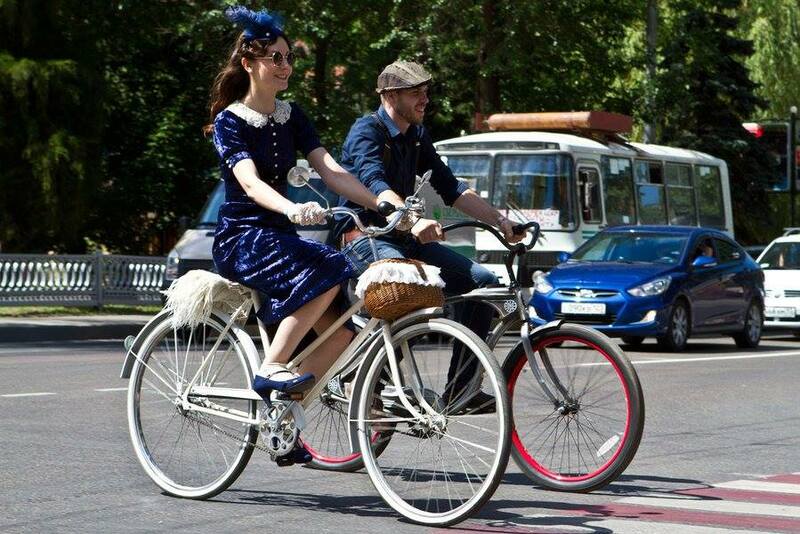 Read more about opening of the new spring-summer season in Moscow parks. 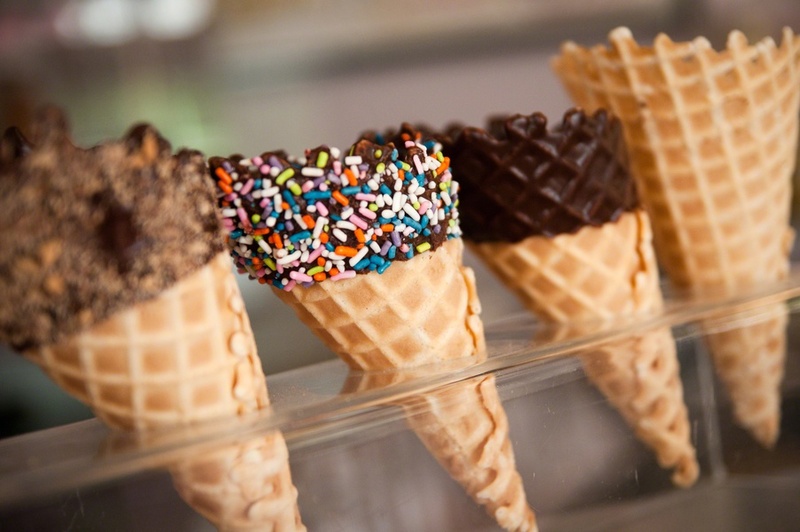 The International Festival Kommissia will become a bright event for the May holidays. Guests of the festival will see a bright cosplay show based on manga comics, visit a fair of comics and collection editions, meet with foreign and Russian comic book authors. Artists will be able to show their skill at competitions, exhibitions, master classes and presentations. Audience of the festival will get acquainted Brian Bolland, one of Batman and Joker creators and Rodney Ramos who will tell about the work on Spiderman and Iron Man comics. A unique exhibition of comics from the 1990th will also be open there for you. 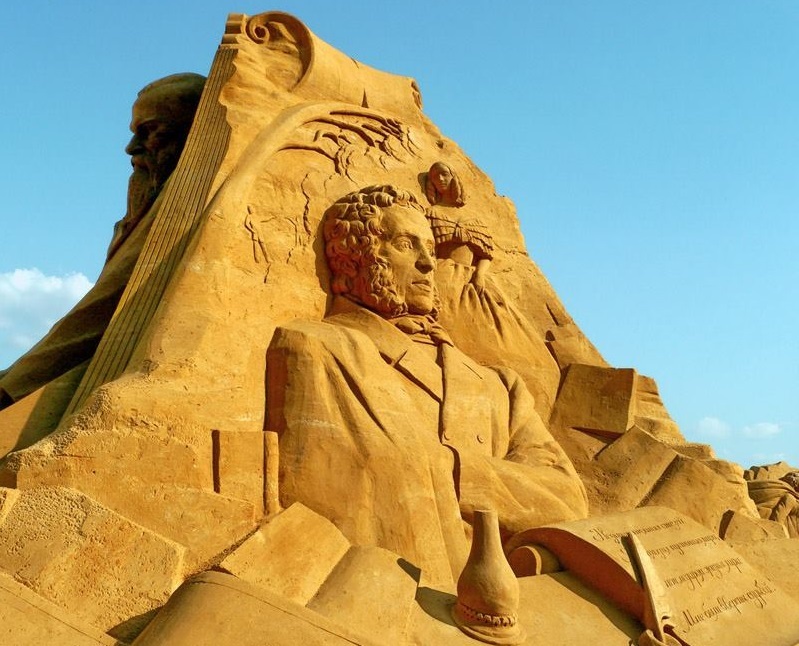 Exhibition of sand sculptures based on masterpieces of the World Literature will open in Kolomenskoe Park at the weekend. 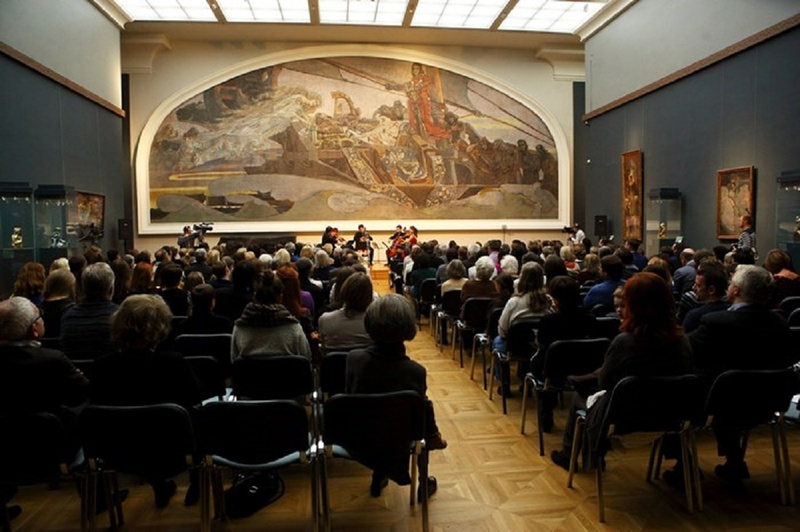 Works of Pushkin, Tolstoy, Gogol, Cervantes, Shakespeare, Dumas, Homer and many other world famous writers, inspired authors to create the exhibition works. Sculptors from Moscow, St. Petersburg, Krasnoyarsk, Penza and from other regions of Russian and from abroad participate in the exhibition. The central place will be taken taken by the six-meter sculpture devoted to the 70 anniversary of the Great Victory. 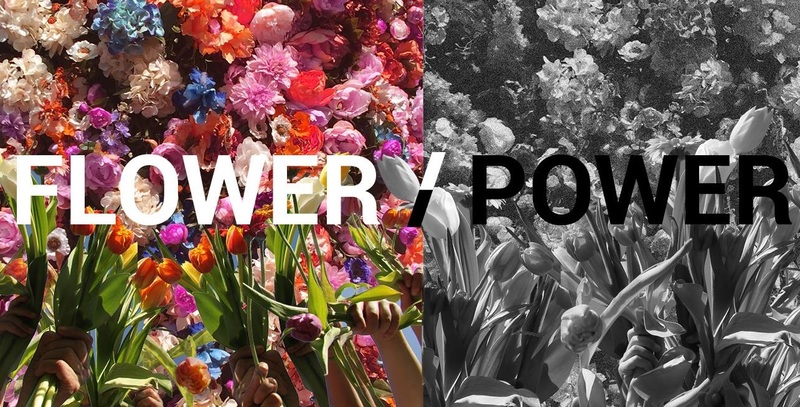 The new project of Margo Trushina is called as Flower/Power that sends us to the hippie era, who used this motto as a protest against war in Vietnam. Trushina’s installation, based on fresh flowers, will look differently every day: some plants will start withering little by little, others, on the contrary, will begin to blossom. This is how the author of the project suggests the viewer to reflect on transience of human life, which can be compared to a flower. Margo Trushina is Russian artist with British education, one of founders of the well-known dramatized carnival Midsummer’s Night Dream based on William Shakespeare’s work. 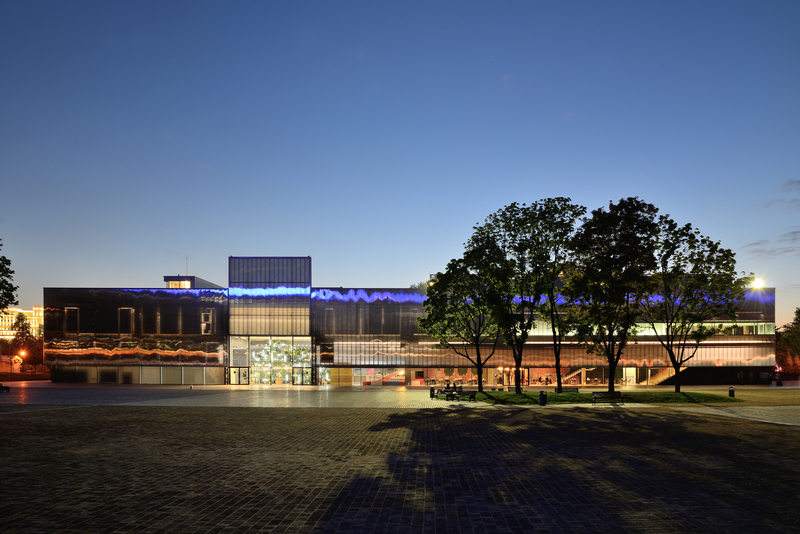 The exhibition will last until May 17. The Touching Art is a multi-faceted project, consisting of an exhibition part, master classes, presentations and discussions, devoted to a problem of adaptation of deafblind people in the world. Because the only way of obtaining information for them is touch. The documentary part of the project will be presented by stories of deafblind people, their adaptation to the world. The lecture platform will be divided into two parts – for deafblind and people without violations of sight and hearing. The first will be able to participate in theatrical master classes, visit plastic and musical laboratories. The second include film screenings and lectures. Works of modern artists, created especially for the project, present the third section. Therefore, Proteus Temen represents the installation reacting to touches, Lilia Li-mi-yan and Maria Yastrebova show photos and videos with deafblind people, and Ekaterina Dzhagarova partially recreates the scenic decision of the Prikasayemye performance about cognition of the world through finger-tips. The project will last until May 24. From May 1 to 11, 2015, 16 venues in the city will hold the Moscow Spring Festival. There will appear numerous fairs which will present the best Russian goods and goods from the former Soviet republics. Guests of the festival will be able to take pleasure in dramatized performances, exhibitions and concerts, devoted to the Soviet era and the 70 anniversary of the Victory in the Great Patriotic War. 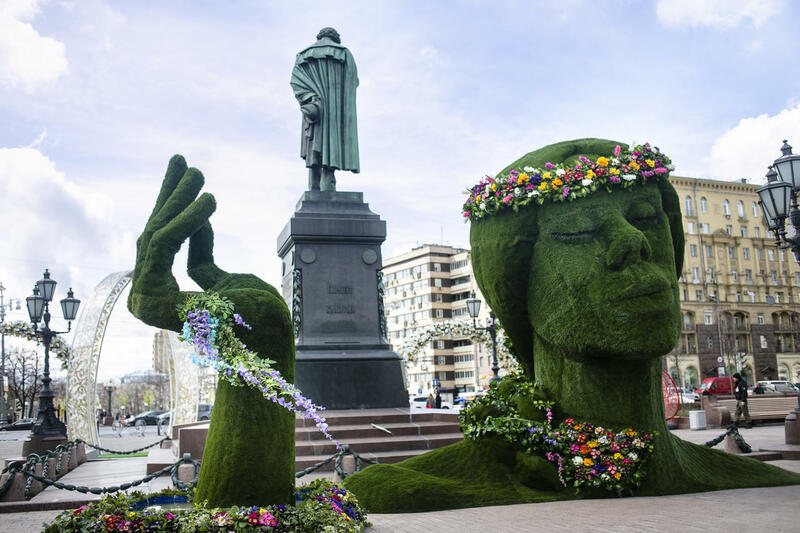 The most interesting events of the festival are promised to pass at Arbat Street, Lavrushinsky and Klimentovsky lanes, at Kuznetsky Most street and Novopushkinskaya Square. Thus, a telegraph and a post office will appear at Novopushkinskaya Square. Here it will be possible to read a front newspaper, to taste soldier’s porridge and ‘macaroni in a naval style and Kuznetsky Most Street will turn into a labyrinth gallery with hundreds of children’s drawings.